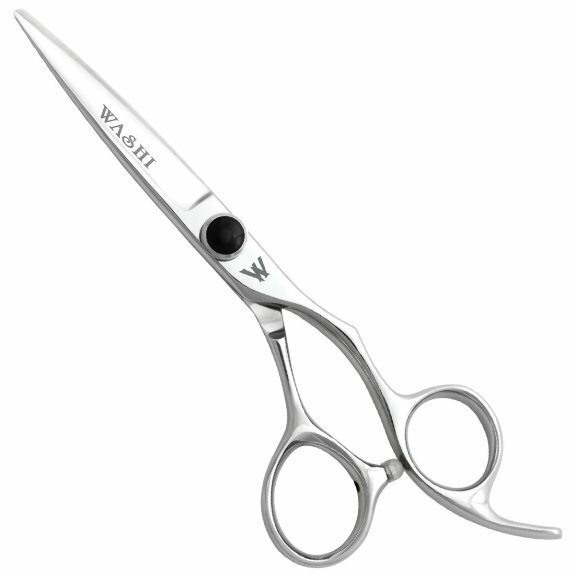 Masterfully crafted, a medium weight hair scissor with wider blades for smooth cutting action. Masterfully crafted, a medium weight hair scissor with wider blades for smooth cutting action. Performs all of your favorite cutting techniques. Forged from Japanese 440C steel. A well balanced shear with a popular handle design featuring bent thumb ring and a lower finger rest for a more relaxed wrist position. Features Washi's Anti-Push Edge.